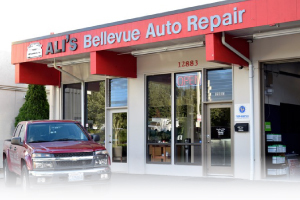 Ali's Bellevue Auto Repair is ready to handle any issue with your vehicle. 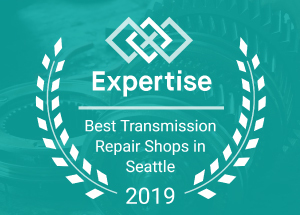 We have been serving Mercer Island for years and not only provide quality, affordable auto repair, and service but we have the training, equipment, and expertise to fix your transmission. Whether it is a rebuild, repair, or replacement of your transmission our ASE certified mechanics are ready to handle it all. We provide comprehensive inspections to your vehicle and then work directly with you to find the best, affordable solution. We provide all transmission services and even work on both automatic and manual transmission vehicles. When your car is experiencing hesitation, "slipping" or sticking, your transmission may be having a problem. Or if you hear rattles or grinding you want to bring your car into Ali's for inspection. We will quickly find the origin of the issue so that your transmission can be repaired before the problem shuts down your entire system. 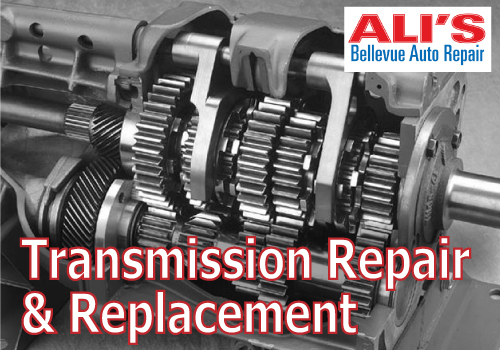 Ali's has extensive training to handle your transmission repair correctly and this is just one of the services we are pleased to offer as part of our total car care. We are proud to offer these services as a part of our complete auto service. We work hard to earn your business and have thousands of satisfied customers in Mercer Island and surrounding areas. Bring your car into us when you notice problems because we are truly a one-stop shop. Ali's even offers a courtesy shuttle service for your convenience. Give us a call today! Repair Shops Mercer Island has to Offer!